The booming African movie market – How to exploit opportunities in our continent’s next goldmine. The African movies business is hot cakes right now. You’ll gain some interesting insights from this article. 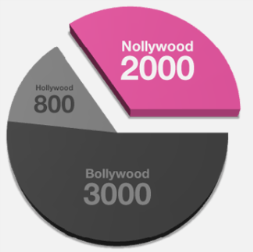 Nollywood, Africa’s most popular movie industry with roots in Nigeria, is now worth more than US$ 800 million. It has grown very rapidly in the last two decades to become the second largest film industry in the world (based on number of movies released), ahead of Hollywood (USA) and just behind Bollywood (India). The industry releases nearly forty new movies to the market every week and enjoys a fan base of more than one billion people across the world. 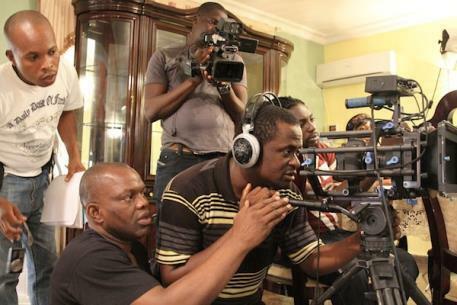 The film industries in Ghana and Kenya are also growing very fast. Although plagued by low funding and poor distribution networks, the African film industry is still in its early growth phase with a lot of lucrative prospects for the smart entrepreneur. Globally, the film entertainment market generated about US$90.6 billion in revenues (2010) and nearly US$100 billion in 2012. However, due to several challenges (discussed later in this article), African movies own just a tiny slice of these revenues. The pie chart on the right shows the average number of movies released on the market every year by the three largest movie industries in the world. India’s Bollywood is the most prolific with about 3,000 movies released every year. 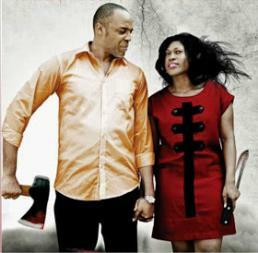 It is closely followed by Africa’s Nollywood (2,000) and then Hollywood. In spite of its huge volumes, the African movie industry is not yet a multi-billion dollar business like its counterparts across the world. Did you know the American movie industry is the second largest export revenue earner for the USA, after the aviation industry? I was amazed to know that too! The size of the US movie industry is so large that the State of California, where Hollywood is located, has a GDP of nearly US$1.4 trillion (pre-recession) and is (was) the fifth largest economy in the world; richer than the combined wealth of all the 54 countries in Africa! On the other side of the world, Indian films are some of the top box office hits around the globe, with over 20,000 cinemas in India alone. Some of the richest people in India are Bollywood filmmakers and distributors and the Indian movie market remains on a steady path of prosperity. Africa’s film history shares a lot of similarities with Bollywood, and it is widely expected that Africa’s movie market success will mirror India’s. Given the current growth rate of the African film market, it clearly shows the potential of becoming a multi-billion dollar market in less than a decade. The industry is currently the second largest employer in Nigeria (where the movie boom started) and enjoys a fast growing audience across the world. Although African films have been produced since the 1960s, the introduction and growth of affordable digital filming and editing technologies has caused an explosion in video film production. African movies are increasingly more widely received across the continent, compared to foreign films, due to its family-oriented stories and cultural similarities. 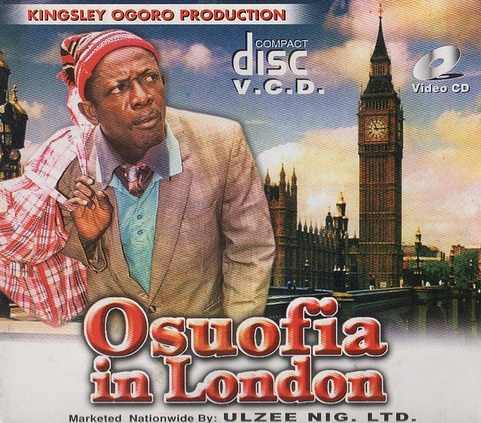 As a result, these movies have become a global and cultural phenomenon enjoyed by Africans at home and in the diaspora. There is also a fast growing fan base in North America, Europe, the Caribbean and Asia. On a continent with more than 70 percent of its one billion people below the age of 25, more and more filmmakers are heading to the continent because of its interesting combination of a huge market, competitive distribution system and abundance of raw and inexpensive talents. With the right amount of funding and improved output quality, the African movie industry is sure to experience another phase of phenomenal growth and prosperity in the next couple of years! Opportunities for entrepreneurs in the African movies business. For the purpose of exploring the opportunities within this market, we would like to divide the value chain of the African movie industry into three stages: film development, production and movie distribution. Each of these stages features its own challenges and opportunities for smart entrepreneurs and investors to take advantage of. Let’s take a close look at each stage in turn. This stage usually involves conception of the movie idea and selection of a suitable story, which may come from a book or a play, another successful film, a true story or an original idea, etc. 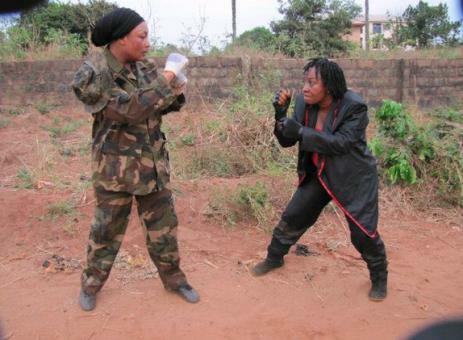 A recurring challenge of the African movie industry is shallow content and poor scripting. Anyone with the right curiosity and exposure can become an accomplished scripter and screenwriter. There are several great and free websites and software on the internet that will help you grow your skill in this area. Screenwriting.info is certainly a great place to start. Another interesting challenge and opportunity during the development stage of the film making process is funding. Funding is the single most important factor for poor revenues in the African film industry. Currently, most films are produced by independent companies and businessmen. With an average budget of $25,000 and a production period of about two weeks, African films are by far the cheapest and quickest to make anywhere in the world! However, challenges in the distribution stage (such as piracy) threaten the entrepreneur’s prospect of making his/her money back. We shall discuss the channels you can exploit to avoid this challenge later in the distribution section below. Despite these challenges, providing finance for African movie production is not yet as risky as in Hollywood. The tastes of the market are quite simple and stories based on love, drama, intrigue, and comedy are readily accepted by the market. Production usually involves everything from assembling a production team, casting the actors, shooting the movie and editing the film material into the final product that is released to the market. This stage of the movie production process is full of opportunities for production houses, cinematographers, movie editors, animation specialists, costume designers, makeup artists, sound producers, choreographers and catering crews. Imagine there were well-run and equipped production houses that provided all the services needed to get a movie from an ordinary idea into a final movie, saving movie producers and investors the nightmare of putting everything together to produce a movie. The production house would deliver the movie according to the budget and script provided. This is the kind of service the industry desperately needs and will most happily pay for. More business opportunities at this stage are equipment rentals, provision of specialist services such as special effects and animation. This is usually the final stage of the movie business where the film is released to cinemas or, occasionally, to consumer media (DVD, VCD, VHS, Blu-ray) or direct download from the internet. The poor distribution system in the African movie industry is one of the main obstacles in the path of this industry’s growth. A lack of structure in this regard has given room to piracy (illegal copying and distribution of movies) which is currently responsible for more than 80 percent of distributed movies. As a result, movie entrepreneurs hardly sell any more copies of their movies beyond the first few weeks after the product is released. The African movie piracy business is worth nearly $200 million every year. In our article: 3+ Guaranteed ways of finding profitable business ideas in Africa, we revealed how finding and fixing a problem in your environment can be one of the easiest ways of starting a business. And that’s exactly what Jason Njoku did with IrokoTV. In 2010, noticing the challenges with Africa’s movie distribution network and piracy, Jason Njoku purchased internet distribution rights from movie producers and has since catalogued more than 5,000 African movies on his online movie platform. Today, his Iroko TV website receives more than 10 million visits from viewers across the world. At the time of writing this article, his company has attracted more than $12 million in investment funding from two US and Swedish-based venture capital firms. You can read the full story here. Online distribution of African movies holds the key to breaking the stranglehold of pirates on the industry and unleashing huge returns for entrepreneurs. Through platforms like Youtube, movie makers can release their movies directly to consumers and bypass the traditional distribution cartels. Iroko TV is one of many platforms that will replace DVDs as internet penetration deepens and bandwidth becomes cheaper across Africa. Another interesting opportunity in the distribution stage is cinemas. 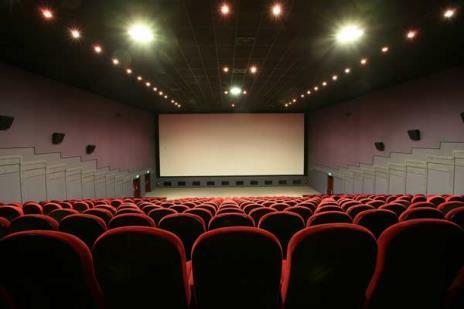 More than 75 percent of global movie revenues are realized through cinemas and movie theatres. Cinemas, which remain the popular means of maximizing returns on every movie maker’s investment, are grossly inadequate in Africa. In the US for example, there are approximately 40,000 cinema screens (that’s about 120 cinemas per million people); India has 20,000 cinemas, and China has about 13,000 screens. Can you guess how many cinemas in the whole of Africa? Less than than 1,000! That’s less than one cinema per million people. In line with the pace of its movie market growth, Africa will need to develop roughly 1,000 cinemas every year to fully exploit the market’s potentials. The African movie industry, with its most active hub in Nigeria, is characterized as a tightly knit and closely controlled unit. Before the internet and cinemas, the cartel in this industry virtually decided who to admit. They determined everything from actors to cast and how much actresses were paid. But everything is gradually and surely changing. There is now an increasing number of new, talented and ambitious movie producers who are interested in big-budget movies that will gross high revenues. Most of these producers are partnering with cinemas in their home countries to ensure that they make more money from their movies. In addition to cinemas, Pay-TV platforms like DSTV have become a popular avenue to get paid (in the form of royalties). With the rising profile of the internet in Africa, the future holds a lot of promise for independent filmmakers. With digital video technologies becoming more affordable, anyone can conceivably shoot and edit a film, create and edit the sound and music, and mix the final cut on a home computer. And then, publish the movie on Youtube! The Internet now allows for relatively inexpensive distribution of independent films. With internet movie distribution, independent filmmakers who cannot enter the traditional distribution networks now have the ability to reach global audiences. The direction of the trend is clear; Africa’s movie industry is on its path to become a multi-billion dollar industry (just like India’s Bollywood). However, all the problems and challenges it faces will require fixes. Within these fixes are enormous opportunities for smart entrepreneurs to make money. The African movie market is large and has proven to have a worldwide appeal. The demand is increasing every day and the lucrative potential of this market is amazing. If you believe there’s a niche you can create or carve out for yourself in this market, you need to start doing something about it soon. However, if you are interested in other business ideas and opportunities, you could choose from many options in the Business ideas section of this website. We would love to hear from you about your successes, challenges, advice and questions. Do not forget to leave a comment in the section below and share this opportunity with your friends.